U.S. pork producers hit by tariffs and an uncertain trade policy at least have McDonald's, Wendy's and Hardee's in their corner. Wendy's is currently offering its Baconator cheeseburger for free through DoorDash with a $ 10 order. The deal continues through Feb. 3. 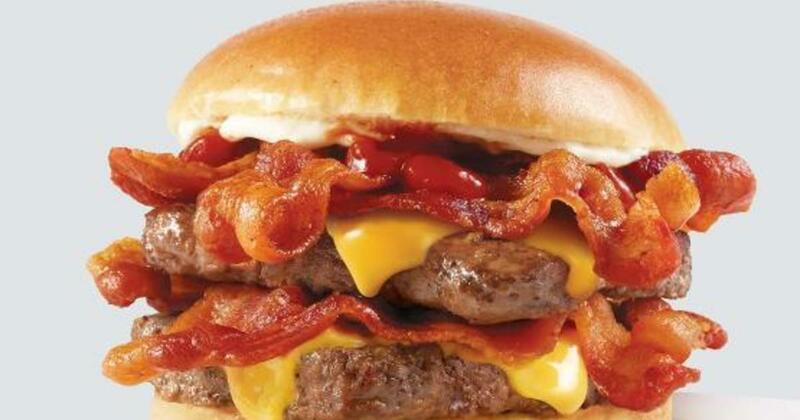 Wendy's 950 calorie Baconator involves half-pound or beef, American cheese, ketchup, mayo and half a carton slices of Applewood smoked bacon, and can be used by the code FREEBACONATOR at checkout. McDonald's is also bringing its "Bacon Hour" to the United Kingdom, selling Bacon-filled Big Macs, Grand Macs and Mac Juniors across the country, the first time the chain has added bacon to its signature menu item in the UK  The chain will follow the Tuesday promotion by introducing Cheesy Bacon Fries, the Big Mac Bacon and the Quarter Pounder Bacon to its menu on Wednesday. Still, consumers might want to go easy on the bacon consumption, given health experts recommend limiting processed meat, which is linked to increased risk of heart disease, cancer and other illnesses.